Cachers, as July approaches, we just wanted to remind everyone about the many events that are coming up during the month. July 7 SOGeo visits Brookings. Wild River Brewing & Pizza, 16279 Hwy 101 South, Brookings Harbor, OR 97415. 6-8pm. July 15 Begin: The Lost Treasure of Mary Hyde at The Wharf Seafood Market and Eatery, Medford, 11am-1pm. July 22 A Very Merry UnBirthday Bash-a-Palooza 2! Emigrant Lake Picnic Shelter A, Ashland. 11am-2pm(ish). If you have any questions, feel free to message and ask! Thanks! If you have a ticket with one of these winning numbers, please contact us via email at southernoregongeocaching@gmail.com with a photo of the winning ticket for verification and we will get your prize to you. Thank you for your patience and good luck!! Discover Central Point Geocoin Event is upon us!! The time has arrived for the first annual Discover Central Point Geocoin challenge!! 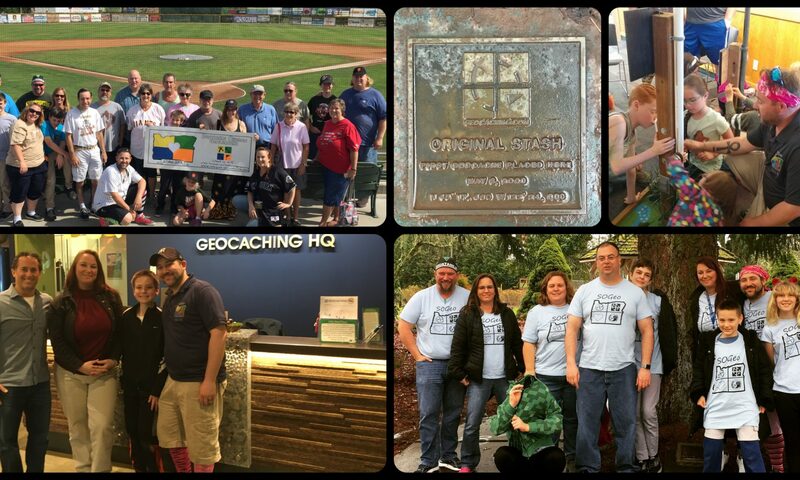 SOGeo, working with the Central Point Parks and Rec, and the Central Point Chamber of Commerce, are all excited to be a part of this inaugural geocoin challenge! We will be kicking things off at 8:30 a.m. in Pfaff Park (635 Manzanita Street, Central Point). There you can pick up your passports and get started on the adventure. We hope to see you all!! !